Extreme Survival. 11 7/8" overall. 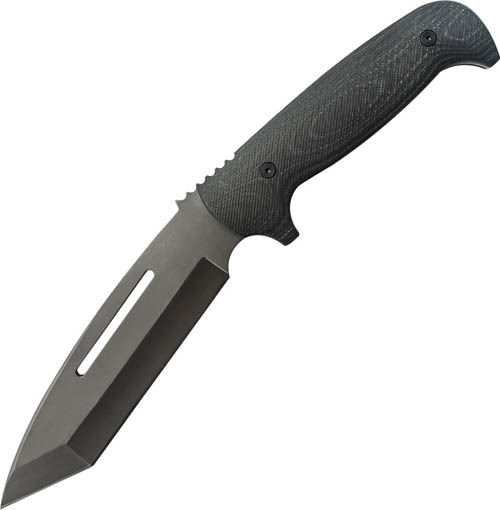 6 3/8" black powder coated 8Cr13MoV stainless tanto blade with slot cutout and thumb ridge. Full tang. Black TPE rubberized handles with finger guard. Black molded Kydex belt sheath.